MCS Healthcare Public Relations helps its clients understand media reactions to their products in real time with this mobile-compatible News Flash Web Platform custom designed, programmed, and developed by DDA. MCS Healthcare Public Relations had a client that was preparing for an upcoming American Heart Association 2011 Scientific Sessions convention. The client had developed a new drug for the treatment of heart disease, and MCS wanted to help them understand the media reactions to the drug during this convention. They would need a platform developed before this, giving DDA a tight deadline of less than three weeks. Through discussions with MCS, DDA determined the core functions that would be needed to help a pharmaceutical company monitor media responses to a new drug. The platform would need to allow for easy posting of news articles and social media texts available online, including any associated images. These articles would be arranged in a chronological fashion and indicate the time, date, author, and outlet for each article. Additionally, MCS wanted to ensure that the platform would include fields to post contact information about authors. The tool would allow users to arrange the articles by a client-defined set of ten attributes, with each article associated with the appropriate attributes during the posting process. The tool would allow for traditional searches of the articles and would also allow users to graph the presence of attributes within the total bank of articles. MCS determined that it would want the tool to have three different levels of access. DDA custom-programmed the tool with three levels of access as determined through permissions. Administrators can post new content and categorize it according to dynamically-generated attributes which can be changed as needed. Full users are not able to post content but can view the articles, contact information, and generate graphs representing the number of each attribute in the overall bank of articles. Limited-access users are only be able to see the articles, without graphs or contact information. All users are able to filter the articles by attributes and/or perform traditional searches through them. 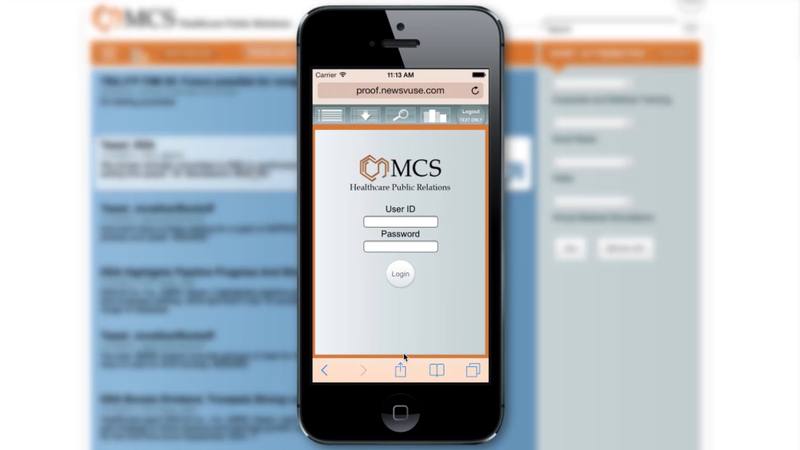 The platform proved to be an invaluable tool for both MCS and their pharmaceutical client. Future enhancements are already planned for the platform.